1. We are not an MLM company and don't have to pay 40 people in a downline every time we sell a bottle of oil like Doterra, Young Living, and many others. 2. We cut out the middleman. 3. Our company was built from the ground up as a high volume and low margin model. As such, we have extremely low overhead and always proceed with wisdom and caution before adding new fixed costs to our operation. 4. Our founders bring decades of not just experience from the technical & raw plants/seeds industry, but most of the infrastructure and resources in technology and supply chain management was already in place by bringing the right people together." The difference has to do with our own internal classification between oils that are extracted using cold pressing versus oils that are extracted using steam distillation. Both grades are the highest quality available and produce 100% pure essential oil as certified through 3rd party GC/MS testing. Our cold-pressed oils (ie: Orange, Lemon, Grapefruit, Lime, etc.) meet certain BP (British Pharmacoepia) requirements in our processing that classify them as food grade and can be used in pharmaceutical applications. Our steam distilled oils (ie: Lavender, Cinnamon Bark, Tea Tree, Peppermint, etc.) are classified as Therapeutic, which is the highest grade available for this method of extracting oil and can also be used internally, externally, or aromatically. Can you ingest JB oils? Yes, you can ingest some Jade Bloom Oils, but as they are 100% pure they can be very potent. Please reference our Uses Guide for safe dilution recommendations based on the oil and whether you're an adult, pregnant, or a child. Our oils are 100% pure and we do not use chemicals or dilute our oils in any way. They are 100% pure natural goodness from only the single raw plant or seed that we have sourced. 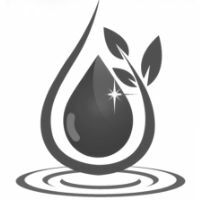 We source our raw plants and seeds from about 30 different farms depending on known locations around the world for producing the highest quality raw materials for the particular oil. For example, our Lavender comes from the Kashmir region in the Himalayan Mountains known for producing the sweetest smelling and highest therapeutic Lavender in the world. For this same reason our Bergamot comes from Italy, our Clary Sage from Russia, and our Tea Tree from Australia. We only source our raw plants and seeds from those farms that we personally visit and audit on a regular basis to ensure we receive pesticide-free, organic, non-GMO materials. In addition to our sourcing and commitment to proper distilling temperatures and times, we GC/MS test every batch to ensure the quality of our oil is 100% pure therapeutic grade unadulterated oil. If we miss the standard then we dump the batch. If we meet the mark then we proceed to bottle and upload the tests to our product pages so our customers can see exactly what they're getting in every bottle and from which batch it was derived. We do require that the farms we purchase from only produce organic, pesticide-free, and non-GMO raw plants and seeds for our distillery. This is part of our commitment to producing the highest quality oils available in the world. There are additional requirements and expenses in having a 3rd party organization provide an organic certification that we can print on our labels. We did just receive this certification for our Kashmir Lavender, but our management team is still trying to determine the cost-effectiveness of this certification process and if it would require us to increase our prices. Our commitment is first and foremost to quality and secondary to that is price, but that doesn't mean a 3rd party certification would necessarily take precedence over maintaining our current low prices. Where do you harvest your plants? 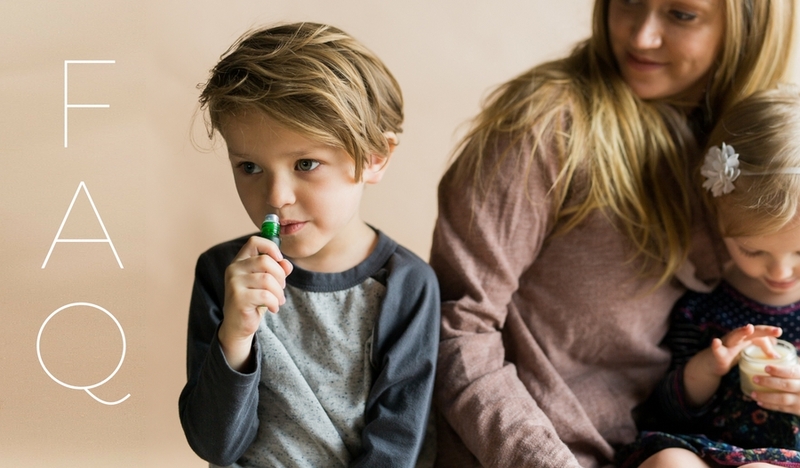 Sensitivities to certain essential oils can occur over time, and in some cases, an oil that a user previously responded well to can become intolerable. Batches sourced during different times of the year can also have higher concentrations of certain active constituents that the user may also become sensitive to. We recommend discontinuing use of this oil until the irritated areas clear up. Should you be interested in trying it again in the future, please conduct a skin patch test before applying the oil regularly to larger areas. If you'd like further assistance with placing orders, please feel free to contact us by phone at 844-787-3645 anytime between 10 AM and 7 PM MST Monday through Friday. 2. Below the cart contents, you'll see a field for coupon codes. Enter the code and click "Apply Coupon"
An invalid message means one of the following: 1) the code has expired 2) the code is not valid 3) you have already redeemed the code or 4) you are entering the code in the Voucher Code box instead of the Coupon Code box. To redeem your points, you'll want to add everything you'd like to your cart and then proceed to the cart page. Points are to be applied underneath the contents of your cart. This link will take you here in the event that you have a hard time finding it: https://jadebloom.com/index.php/checkout/cart/ Once you are on this page, you'll see a drop-down menu where you can apply points to your order. If you accidentally select too few points, just click the link below the drop-down menu that says "Remove Points" and try again. Our system protects the value of loyalty points for our customers by not allowing more points to be redeemed than the value of the cart contents. Loyalty points can be redeemed in $.20 increments and so it's likely that that the value of the products you choose to purchase will not create a zero balance. It is normal for customers electing to only spend the points they have earned, and nothing more, to pay a remaining balance less than $1.00. If this describes your situation, then there are several ways you can securely submit the small remainder to complete your order. We accept AmazonPay which means your credit card information is not entered on our website. We also accept a personal check or money order which you can easily select during the checkout process. Lastly, we also accept credit cards using the best industry standards in secure SSL processing. CVS mismatch error during checkout? From time to time we hear from customers who attempt to place an order online and their credit cards are declined for a billing mismatch or other reasons, but their bank accounts will show that the charge is pending for several days. When we search our records, we only see that the transaction has been declined. Even though the funds show as pending on your bank account, the money will never be taken out of your credit card account and will typically be removed in 2-5 business days. Unfortunately, we cannot remove the charge, nor can we call in on your behalf as the credit card companies will not share account information with non-account holders. The reason you may see multiple pending transactions on your bank account may be due to multiple attempts on your part to submit the order when the transaction was declined the previous transaction because of a billing mismatch or other reasons. It is important to understand that credit card fraud is one of the fastest growing crimes worldwide, and it is our intention to do everything possible to protect our customers. If you have any questions or concerns regarding this please reach out to us, but rest assured that the pending charges on your account will not post to your statement. Not getting order confirmation emails? First, be sure to add [email protected] to your safe sender list on your email client. Should this not resolve the issue you may need to contact your email service provider directly. Sometimes certain email carriers (particularly Hotmail) are known to filter emails before they ever reach your email application. Please notify your email provider and ask them to add our email address and our IP address to their white list. Here is how you receive and redeem points from the Jade Bloom University. There are a total of 8000 points available through these courses. - Complete the Doctorate Degree, receive 4000 points. OPTIONAL: Complete the Referrals portion and receive 500 additional points. Every 250 loyalty points equal $1.00 of spending at JadeBloom.com. If you complete all of the courses then you will receive $32.00 in loyalty points. 2. Once you have added all the products you would like to your cart, go to your shopping cart by clicking the cart icon at the top of the page. 3. On the cart page, scroll below the cart contents to find the section called "Reward Points". 4. Select the drop down box and choose the number of points you would like to apply to your cart total. 5.. Then find the link under the box that says "Apply Points". While it's possible to edit the payment method, and billing address for an existing subscription, editing shipping addresses is not a possibility yet. We're working with our third party billing software to make this type of change possible, however, currently, the only way to edit the shipping addresses is to cancel the subscription and create it again with your new address indicated. Otherwise, the subscription will continue shipping to the old address. Below is a copy of the portion of our Terms and Conditions that's applicable to this situation. "Any shipping address changes for automated recurring billing profiles (such as Collectors Club subscriptions) cannot be made to existing subscriptions. A new subscription will need to be created with the new shipping address indicated." bought Calendula Infused Oil (Therapeutic Grade), Bergamot 100% Pure Essential Oil (Pharmaceutical Grade), Tea • (CHAI) Loose Leaf and other. bought Stick - SUTURE Healing Blend | Easy application, Silver Fir 100% Pure Essential Oil (Therapeutic Grade), ALLERG-EASE Hyper-Sensitivity Blend Of 100% Pure Oil and other. bought Copaiba Balsam 100% Pure Essential Oil (Therapeutic Grade), Bergamot 100% Pure Essential Oil (Pharmaceutical Grade), Muscle Rub SOOTHE Balm - Essential Oil Muscle Fusion (Heat Activated) - 2 oz and other. bought Black Pepper 100% Pure Essential Oil (Therapeutic Grade), Sage Clary Essential Oil (Therapeutic Grade), Bulgarian Lavender 100% Pure Essential Oil (Therapeutic Grade) and other.